Home » Home Featured » Gutter Guards: How Much Can They Save You? Your roof is your home’s biggest – and arguably most important – asset. Moving water off of your roof and away from your home is crucial not only to maintaining the structural integrity of your roof, but of your home’s foundation, as well. That’s where your gutters come in. The functionality of your gutters is all about unrestricted water flow, which relies on your gutters remaining clear and unblocked. Cleaning the gutters is an expensive, time-consuming and potentially dangerous chore. Cleaning gutters is a chore that is difficult, time-consuming and potentially very dangerous. If you hire outside help, it is expensive. It is not a home improvement job you only have to do once – cleaning gutters is something that will need to be done repeatedly. 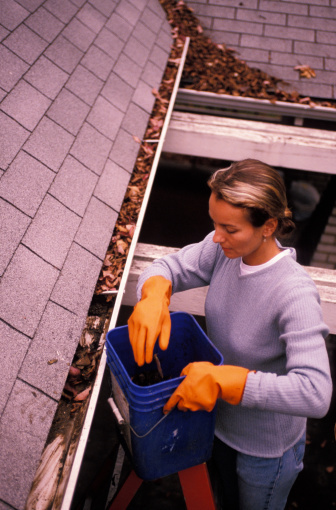 Depending on where you live, cleaning the gutters can be a perpetual necessity. Gutter guards dramatically diminish that burden. Gutter guards repel solid debris while allowing water to flow unrestricted, keeping your gutters free and unblocked without you having to call a home contractor or drag out the ladder. 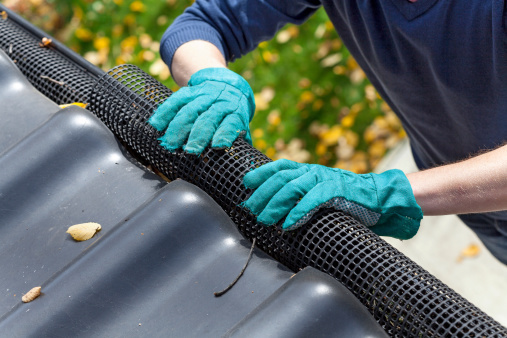 As discussed in the article, “Gutters and Gutter Guards: How Much Can You Save?,” paying to have your gutters cleaned by a home roofing contractor adds up fast. The average gutter cleaning costs $185, with an annual cost of up to $550. That’s a five-year expenditure of up to $2,775. It can cost more than $5,500 over a decade. Repairs and replacements due to built-up debris and water damage can cost much more, but gutter guards can prevent all of that. Gutter guards repel solid debris while allowing water to flow freely. Look at gutter guards not as something extra, but as a home improvement investment. They will pay for themselves quickly – especially when you factor in the cost of repairs that will never have to be made. If you choose to do your own gutters, they will save you countless hours of grudging work up on the ladder, which is an even better thing to save than money.